True Lawn is a full-service landscape and lawn care company. Our customers are both business and residential. We provide mowing, trimming, edging, lawn treatments, bush and tree shaping. We can arrange monthly contracts, or even a single service if that is what's needed. Special services as needed, feel free to talk to us. Let us come by for a visit to understand your needs and prepare a free estimate. Dependable, quality lawn services are less expensive than most think. Having a nice healthy lawn does not need to be a hassle and worry. We earn your trust, every visit. 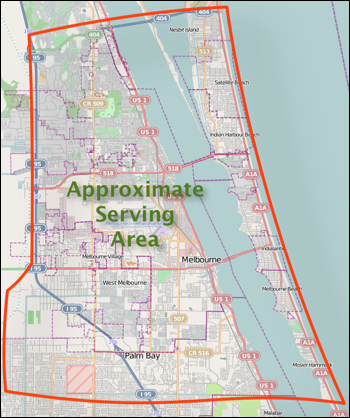 We are located in West Melbourne and cover all of the Melbourne/Palm Bay Metro area. The Inquiries menu at the top of the page allows you to contact and provide a written question.